On a budget and with a strong desire to get quality components on his ride, Rohit started shopping around for the best deal. Knowing absolutely nothing about mountain bikes, made me his source for information and advice. Naturally, I directed him to the oracle (google.com) to get all of his questions answered. 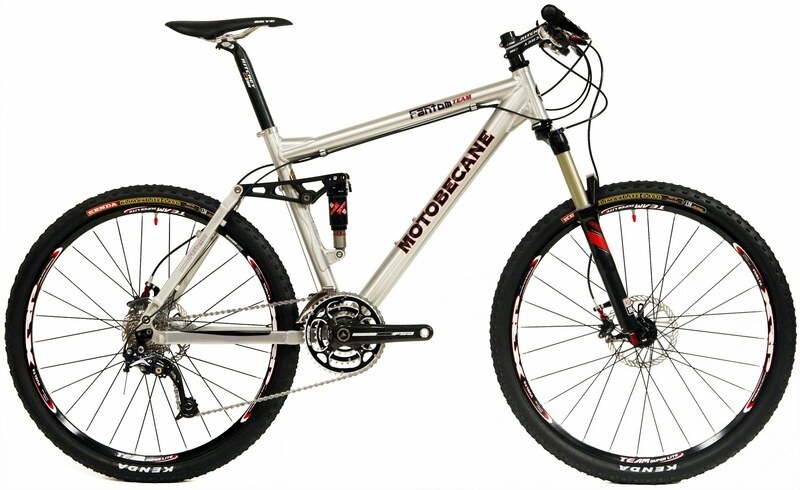 We took a look at bikesdirect.com and found the 2010 Motobecane Fantom Team Mountain Bike for sale at $1899 after taxes and shipping (ie, free shipping and no sales tax). Our first step was to part out the bike to see if it was worth the advertised price, assuming the frame was not good and we might have to buy another one eventually. Our estimate quickly escalated past the advertised price of $1899 so we knew we were at least getting the parts at a good price. Our next step was to consult friends to see if they thought the bike was a good investment. After speaking with one avid mountain biker, whose name shall remain confidential :), his strong advice was that the frame of the bike was the most important thing and that Rohit should not buy the Motobecane, however, he did note that although he didn't think the price was spectacular, he didn't think it was overpriced either... quite the critic! Anyways, we ditched his poor biased advice, and decided to read some reviews on random forums. After reading many of them, from different sites, it became apparent to me that I could not figure out which ones I could trust and which ones were being posted by bikesdirect.com employees or anyone else that may benefit from increased Motobecane sales. This fact alone is what has inspired me to write about my experience with BikesDirect.com so that others, seeing the great deal on the site, could read this article and get a first-hand review from an honest person about what it's really like to deal with the company, and how good the bikes really are. We went ahead to try out some other bikes at the store like the StumpJumper and the Superlight. We decided in the end that the generic frame with top end parts was better than an "ok" frame with low end parts.. so we went home and ordered the Motobecane in size small. Days before the bike shopping, I had been emailing bikes direct.com with random questions about if 2.35 tires would fit the Motobecane Fantom Team and the response was usually received with 24 hours (towards the end of the 24 hour period). I received a call from Bikes Direct the day after placing my order (just a few hours ago they called) and a sales person confirmed with me that I had ordered the correct size bike and they wanted to confirm my billing address, since it was different from the shipping address. ^^^^^^^This is Adam's wife Brenda! So it should say, Brenda Said!! Brenda: No problem, I will make a new post soon as the bike arrives. Any news on this bike....I am waiting to hear about this bike before I decide on whether or not to buy one! I would love to have exact measurements from your bike as the website is so screwy. We have received the bike and it has arrived as promised. The bike shop put it together but we haven't had a chance to test it out in the mountains yet. Once we go on the first ride, I will post a thorough review. So far I give this bike and the value is represents an A+. Keep in mind however, that the rear shock looks like it doesn't have too much travel, so someone interested in tackling extremely rough terrain might want to consider going for a rear shock with more travel. However, it could just be an illusion since the Monarch 4.2 rear shock is touted to be a direct competitor to the Fox RP23.